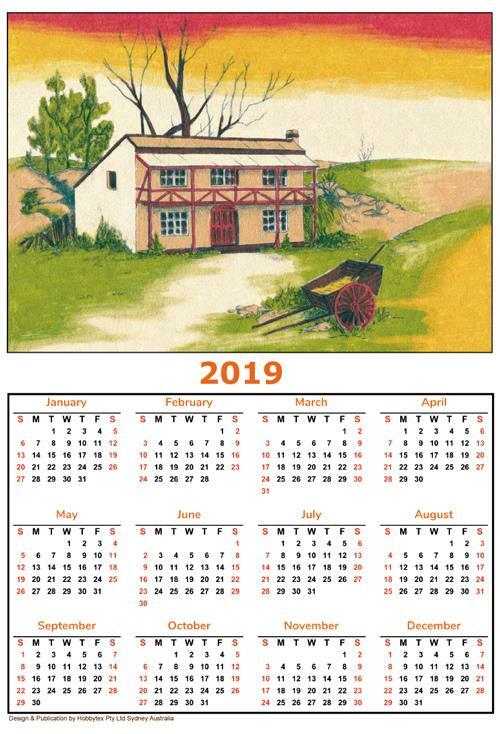 Australian Heritage Calendar for 2019 - small size. Colours required: 3, 12, 14, 69, 76, 84. Printed on Non-Woven. Simply place a Blotter Sheet (1632) under calendar whilst painting. Comes complete with colour chart to follow and hangers.